A consensus is developing among leading trading partners that the World Trade Organization needs reform, and needs it now, in part, to dissuade President Trump from carrying out his threat to pull the United States out of the organization. In a July 25 meeting, President Trump and European Commission President Juncker agreed to “work closely together with like-minded partners” to reform the WTO. At a recent meeting, the G20 trade ministers recognized the “urgent need” to discuss improvements in the WTO. On September 18, the European Commission, in a 17-page document, laid out proposals to modernize the WTO and “make international trade rules fit for the challenges of the global economy”. This post highlights key EU proposals, in particular as they relate to the U.S. complaints that the WTO is not equipped to address China’s economic policies. In the president’s 2018 trade policy agenda, the U.S. outlined the need for reform of the WTO, contending that it was not operating as the members anticipated. At China’s WTO Trade Policy Review in July, the U.S. elaborated on the need, arguing that: “China’s failure to fully embrace the open, market-oriented policies on which this institution is founded must be addressed”, either within or outside the WTO. The inadequacies of the WTO in addressing China’s trade practices is one reason for U.S. action against China under Section 301 of the Trade Act of 1974. Section 301 requires the U.S. to pursue dispute settlement cases where it believes foreign government practices violate the WTO. However, to address unfair foreign trade practices that do not violate a trade agreement, the statute authorizes unilateral action. The U.S. Section 301 case against China covers unfair trade practices that are not governed by WTO rules. To address those practices, the president has resorted to imposing escalating tariffs on China, with the authorization on September 17 of another $200 billion at the 10% level, on top of the initial $50 billion. In setting out its proposals for WTO reform, the EU emphasizes that “the rules-based multilateral trading system is facing its deepest crisis since its inception”. WTO negotiations have not delivered any significant improvements in WTO rules other than agreements reached on Trade Facilitation and Export Competition. 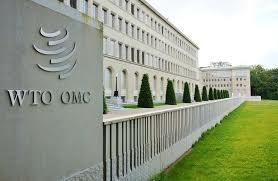 The bloc’s proposals focus on three key areas: updating international trade rules to capture today’s global economy; strengthening the WTO’s monitoring role; and overcoming the deadlock on the WTO dispute settlement system. Rulemaking: With the reform, the EU wants to create rules that “rebalance the system and level the playing field”. Its concerns include the use of subsidies, in particular those channeled through state-owned enterprises (SOEs). To better capture subsidies granted by SOEs, it wants to clarify what constitutes a “public body”. It would also tighten the rules governing subsidies to more effectively address the most trade-distortive types, as well as improve subsidy transparency, especially notifications. The EU is also seeking to establish new rules to address barriers to services and investment, singling out the insufficiency of current rules to address forced technology transfers, a central issue in the U.S. China 301 case. The EU also wants to address barriers to digital trade as well as sustainable development, for which currently there are only negotiations on harmful fisheries subsidies. Another area of reform proposed by the EU involves the distinction between developed and developing countries. It points out that “the developing country group now includes some of the world’s top trading nations”, some of which have a level of development that surpasses that of certain developed members. The EU believes developing country members should be actively encouraged to “graduate” and opt-out of special and differential treatment (SDT), horizontally or agreement by agreement. In future agreements, the EU also wants the WTO to “move away from open-ended block exemptions toward a needs-driven and evidence-based approach”. Where possible, the EU urges pursuit of multilateral agreements, which would apply to all WTO members. But, where that is not possible, it wants flexibility for the negotiation of plurilateral agreements. Strengthening WTO Monitoring and Operations: In a second set of proposals, the EU seeks to improve the operations of the WTO’s councils and committees and Trade Policy Review Mechanism. It would also abolish committees that are idle, such as the working group on the Singapore issues (transparency in procurement, investment and competition policy). Dispute Settlement: The EU aims its third set of proposals at developing a “more effective and transparent dispute settlement”, including addressing immediate issues involving the Appellate Body. It contends that the WTO’s dispute settlement function is in “grave danger”, requiring “swift action” to preserve it. If the U.S. continues to block appointments to the Appellate Body, as it has throughout the Trump presidency, “it will undermine the WTO dispute settlement at the latest by December 2019”. The EU summarizes the U.S.’s dispute settlement complaints as set out in the president’s 2018 Trade Policy Agenda and explores avenues for addressing them. The EU proposals provide a basis for the beginning of what will likely be a difficult and prolonged effort. Changes in the WTO rules will require approval of all 164 members. But, without meaningful reform, the WTO could be further diminished as its members increase their use of bilateral and regional trade agreements to liberalize trade. U.S. Trade Negotiations: Moving Forward?